‘I was at the mill and had 2 measures of wheat ground in my presence to see the result, because I distrust the miller.’ This is from the rich and colourful diary of Gilles de Gouberville, a squire in 16th century northern France who died 430 years ago today. He would have been long forgotten but for his diary which lay undiscovered for more than three centuries. Since its first publication in the 1870s, de Gouberville’s journal has been much studied by historians of old (pre-revolutionary) France. 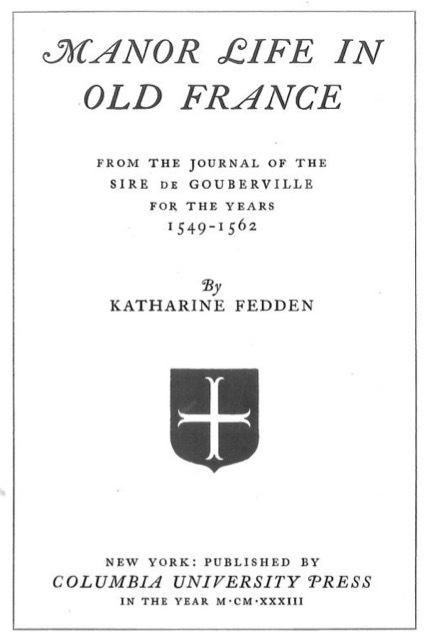 There have been no translations into English, but Katherine Fedden, an American novelist and translator, used it as the basis for her Manor Life in Old France. Gilles Picot was born in 1521, the eldest son in a large family. His father was squire of Gouberville and Le Mesnil-au-Val, estates in the Cotentin (or Cherbourg) Peninsula of Normandy. 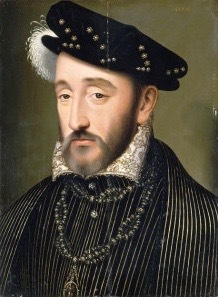 Gilles took over administration of the estates in 1542, and, when his father died two years later, he became the squire. He never married, but he headed a household of more than a dozen, including servants, which was run domestically by his sister Guillemette, one of his father’s five illegitimate children. He died on 7 March 1578. 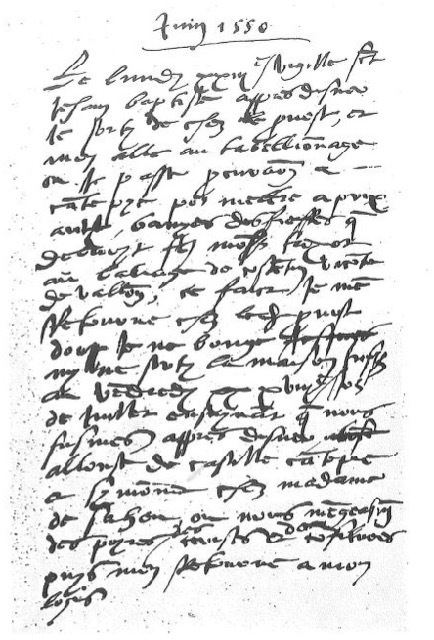 There is little further general information about Gilles de Gouberville - see Wikipedia or the website established by Le Comité Gilles de Gouberville - but there is a wealth of detail about his daily life for 13 years (1549-1562) thanks to surviving diary manuscripts. Journals for 1553-1562 were found by Abbé Tollemer in 1867, and published in the early 1870s as Journal Manuscrit d’un Sire de Gouberville et du Mesnil-au-Var, and then more simply as Le Journal du Sire de Gouberville - these editions (in French) can be read freely online at Gallica or at Internet Archive (bizarrely in two parts separated mid-sentence - see part one, two). A few years later, further journals were found and published as Journal de Gilles de Gouberville pour les années 1549, 1550, 1551, 1552. This is also available to read at Internet Archive. The journal has its own Wikimanche file (in French) with an excellent bibliography. Fedden divides up her social history into topics - such as friend and neighbours, money and food, sport and recreation, wine and cider, hunting, sowing and reaping, etc. - and liberally sprinkles her text with translations of journal extracts, most of them usefully dated. However, the extracts are all snipped to suit the purpose of her chapter, and so it is not possible - at least without reference to the French original - to get a feel for the flow of content in the diary or the diarist’s daily routines across a week or month for example. Here, though, are several extracts as found in Fedden’s book (re-arranged into chronological order). ‘Arnould went to Valognes to fetch the skins to make the boots for Symonnet and me. He brought back with him a young man named Nicollas from Lagarde, the shoemaker, to cut out the boots from the skins. ‘I bought from Grandin, lace for my shirts, and soap. . . .